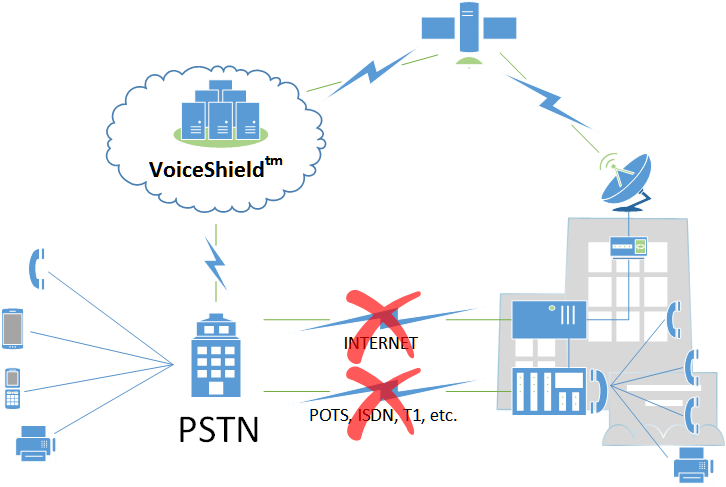 The basic configuration of VoiceShield involves no additional premise equipment. Calls are managed by the VoiceShield cloud-based platform and delivered to alternative devices like cell phones or to other locations. All VoiceShield configurations ultimately fall back to the cloud configuration. 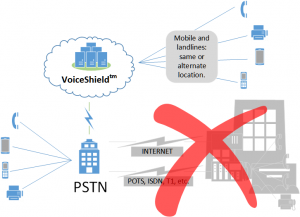 For instance, in the case of building evacuation, calls that would normally be managed by VoiceShield Satellite or VoiceShield NetPRI (and routed into your existing phone system) can be forwarded to any device and location.